The built-in, dedicated security and monitoring radio of the UniFi XG AP provides visibility into site performance, channel planning, and local interferers, allowing the integrator to properly evaluate performance and quickly respond to changing interference and security threat landscapes. 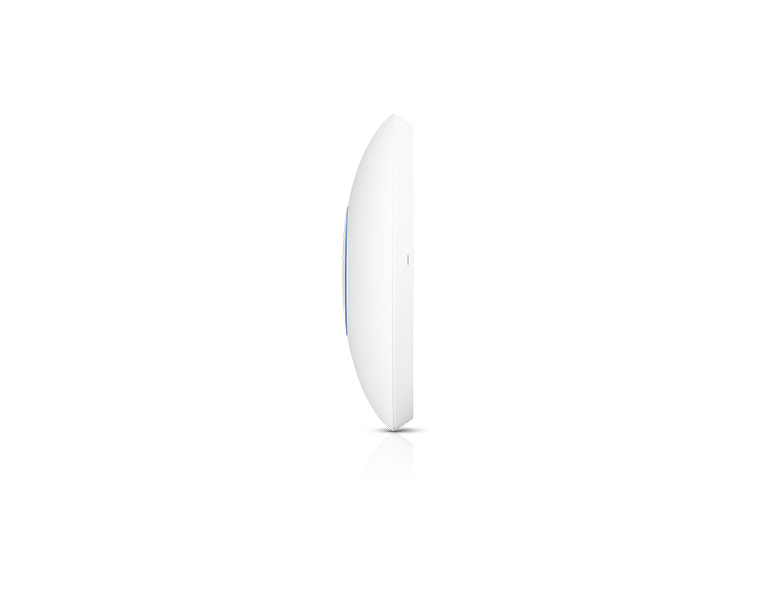 Powerful Hardware The UniFi XG AP features the latest in Wi-Fi 802.11ac Wave 2 MU‑MIMO technology combined with dedicated security and Bluetooth radios. Intuitive UniFi Controller Software The system integrator can leverage the controller to easily configure and administer an enterprise Wi-Fi network. Expandable The system integrator can start with one (or upgrade to a multi‑pack) and expand to thousands while maintaining a single unified management system. 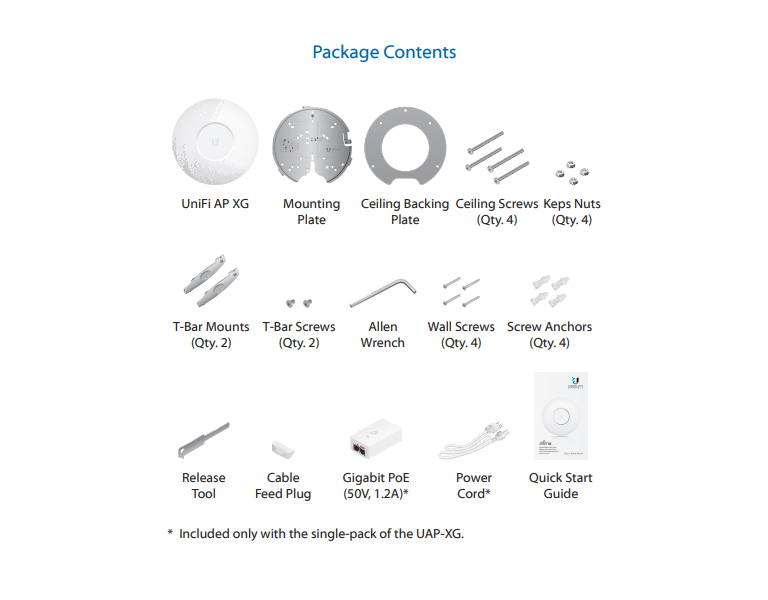 Save Money and Save Time UniFi comes bundled with a software controller that can be deployed on an on-site PC, Mac, or Linux machine; in a private cloud; or using a public cloud service. 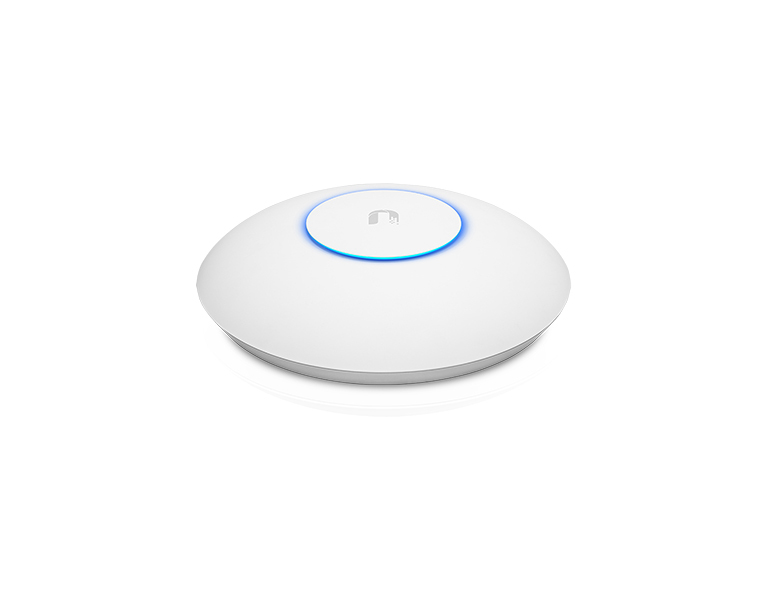 Use the RF environment functionality of the UniFi XG AP to detect and troubleshoot nearby interference, analyze radio frequencies, choose optimal AP placement, and configure settings. The UniFi Controller provides configurable reporting and analytics to manage large user populations and expedite troubleshooting by the system integrator. Use the UniFi Controller to quickly customize the configuration for Guest Portals, including authentication, Hotspot setup, and the option to use your own external portal server. For your Guest Portal/Hotspot package offerings, take advantage of UniFi's rate limiting capabilities. Apply different bandwidth rates (download/ upload), limit total data usage, and limit duration of use. • Built-in support for voucher‑based authentication, including the ability to generate voucher codes. • Built-in Hotspot Manager for voucher creation, guest management, and payment refunds. • Full customization and branding of Hotspot portal pages, including use of your own logo. Initial 802.11ac Wave 1 SU-MIMO (Single-User, Multiple Input, Multiple Output) technology allows an earlier‑generation AP, such as the UniFi AC Pro AP, to communicate with only one client at a time. 802.11ac Wave 2 MU‑MIMO (Multi-User, Multiple Input, Multiple Output) technology allows a Wave 2 AP, such as the UniFi XG AP, to communicate with multiple clients at the same time – significantly increasing multi‑user throughput and overall user experience. MU-MIMO Assuming the same conditions, a Wave 2 radio provides up to 75% improvement1 beyond a Wave 1 radio. This improvement increases wireless performance and/or serves more clients at the same performance level. Client Compatibility For optimal performance, use MU‑MIMO clients. 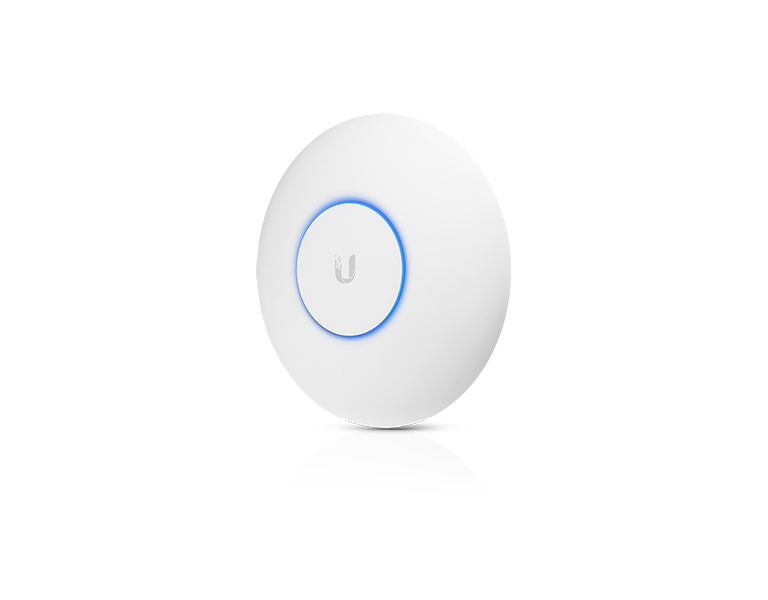 SU‑MIMO clients will also benefit and gain up to 10‑20% greater performance when used with the UniFi XG AP. 1Actual performance values may vary depending on environmental and installation conditions. 2Actual numbers may vary depending on environmental and installation conditions. 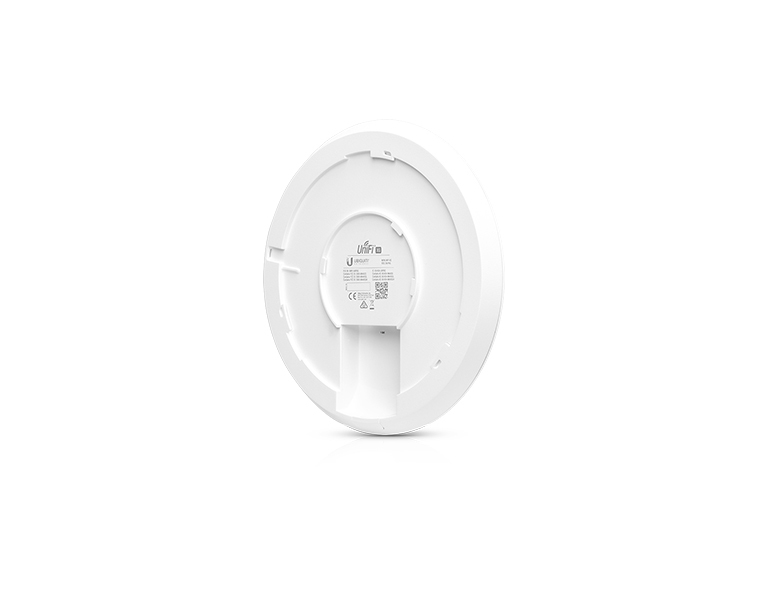 For very high-density environments, such as a large auditorium or concert hall containing numerous clients in a relatively small space, we recommend the UniFi XG AP. Wave 1 and Wave 2 APs offer 28 independent (non‑overlapping) channels: three for the 2.4 GHz band and twenty-five for 5 GHz, including DFS channels. When you use the 2.4 GHz band in a high‑density location, you encounter self-interference and channel saturation. When you use the 5 GHz band, you can deploy smaller cells (coverage areas), so you can support more clients in any cell that deploys more than one AP. With the advantages of MU-MIMO technology and 4x4 spatial streams, the UniFi XG AP can support more than triple the number of users2 per radio than a typical Wave 1 AP. 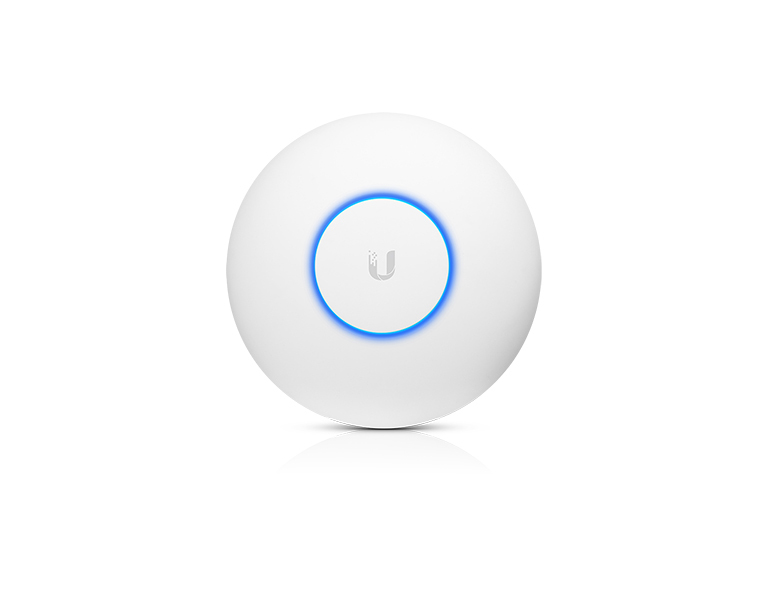 Deploy the UniFi XG AP in very high-density environments requiring maximum wireless performance. 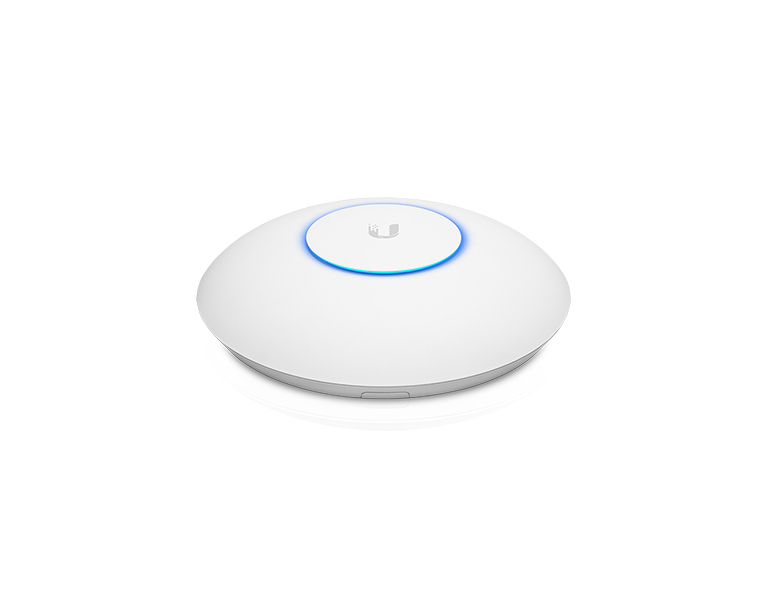 The UniFi XG AP features simultaneous, dual-band, 4x4 MU-MIMO technology and convenient 802.3bt PoE compatibility. Available in single- and five‑packs. Quad-Radio Capabilities Three client radios deliver unparalleled Wi-Fi performance while a dedicated security radio provides persistent threat management. Superior Processing Power The UniFi XG AP is capable of complex operations (guest control, filtering, and other resource-intensive tasks) that may slow down a lesser‑equipped AP. 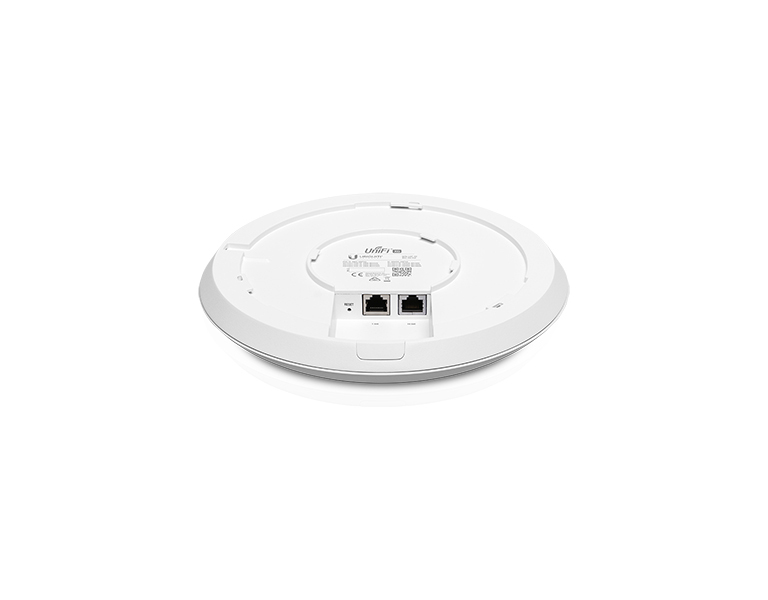 Power over Ethernet (PoE) Standard The UniFi XG AP can be powered by an 802.3bt PoE compliant switch. 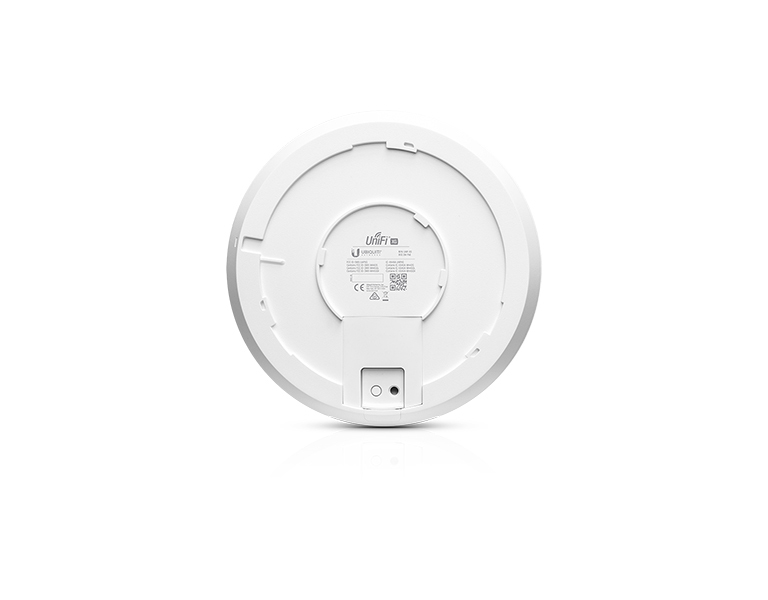 Easy Mounting Its sleek design seamlessly integrates into any environment (all accessories included) and is compatible with existing UAP-AC-PRO mounts. LED The unique LED provisioning ring provides administrator location tracking and alerts for each device. Το προϊόν αυτό προορίζεται για χρήση σε εσωτερικούς ή εξωτερικούς χώρους.